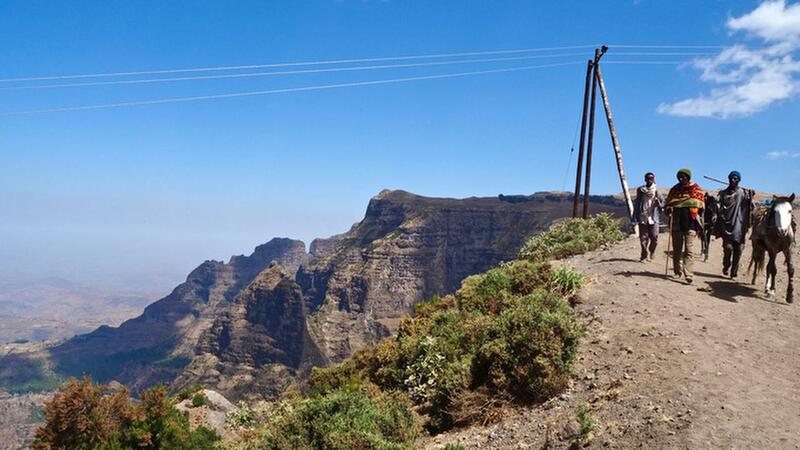 Simien Mountains National Park is in northern Ethiopia. Its rugged terrain includes escarpments, deep valleys and a high plateau, home to rare Walia ibex and Gelada baboons. Tall peaks include the towering Ras Dashen mountain. Trails wind through the park to camps at Sankaber, Geech and Chenek. The central Gidir Got and Imet Gogo summit lookouts have panoramic views of sheer cliffs and the lowlands below.